Work on the Laramie Stormwater Project, constructed by Linaweaver Construction, has now reached substantial completion and 10th Street at Laramie was reopened to traffic earlier today. While final site restoration may extend until warmer temperatures allow for proper reseeding efforts, all stormwater and flat work associated with the project has now been completed. The project’s scope of work included new drainage infrastructure in the 800, 900, and 1000 blocks of Laramie. The City Commission approved the $365,000 project in June and construction began in early August of 2018. 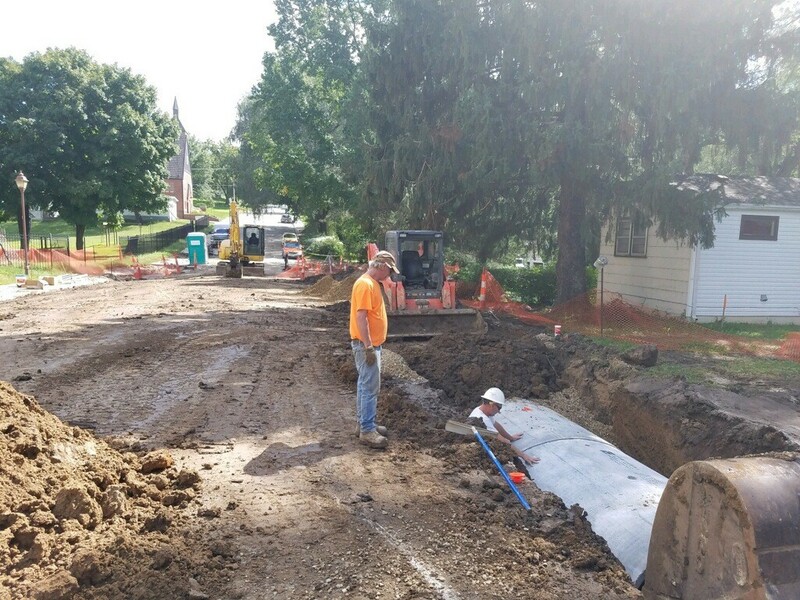 Project Summary: The City of Atchison has over 100 linear miles of sewer and/or stormwater lines in the ground. Some of those lines are over 100 years old and in surprisingly good shape, while others are chronically undersized and plugged. The Laramie Stormwater Project will modernize and increase the stormwater capacity for two of the most problematic drainage intersections in the City, those being 9th and Laramie and 10th and Laramie. Currently, both intersections have inlets that are either collapsed or undersized, routinely flooding during even small rain events. Funding: This project will be entirely funded by the City of Atchison Wastewater CSO CIP. Location: 800, 900, and 1000 blocks of Laramie Street.